AKEED MOFEED (GB) (Bay 2009-Stud 2014). 6 wins-1 at 2-from 1400m to 2000m, Hong Kong Cup, Gr.1. Brother to SW Jordan Sport. Sire of 30 rnrs, 13 wnrs, inc. SP Poised to Strike, Sunset Watch, Twilight Run and of Assertive Play, Heart Conquered, Raging Queen, Surreal Image, Swing it Sister, Akeed, Avora Sun, Gold Spark, Hildalgo, Inkslinger and of the placegetters Alert the Press, Burning the Clock, Caterham, La Vita, Lucky Break, Lunch Money, etc. His oldest progeny are 3YOs. Mysticano (g. by Equiano). 5 wins to 1200m, A$108,500, to 2018-19, Gawler & Barossa JC Ausbia Electrical H., 2d SAJC 13cabs H., 3d MVRC Inglis 55 Second Challenge Heat H., SAJC Holdfast Insurance H., Ubet H.
Mystican (g. by Reaan). 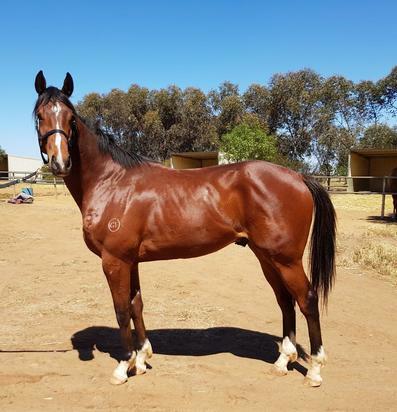 Winner at 1400m in 2018-19 in Aust. It's Mystic (g. by Toorak Toff). Placed at 3 in 2017-18 in Aust. Zip Code. 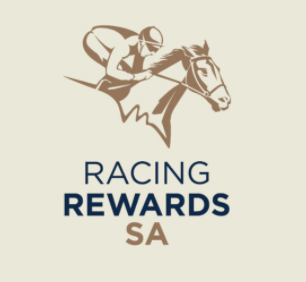 5 wins at 1200m, 1300m, A$84,560, WATC Racingjobs.com.au H., Railways Football Club H., 2d WATC Westspeed 2YO P., Ozbet.com.au H., Tabtouch.mobi H., Tabspringracing.com.au H., 3d WATC Call TAB to Bet 132 369 H., Ascotevents.com.au H.
Mystic Moment. 3 wins. See above. Hohoho. 6 wins to 1200m in Malaysia, 2d Penang TC 3YO Championship Heat 1, 3d Perak TC 3YO Championship Heat 2. Sweet Savannah. 2 wins at 1200m, Ipswich TC City of Ipswich H., 3d BRC Brandons Electrical 2YO P.
Yaqubi (Galileo). 3 wins from 1400m to 1900m, A$161,350, AJC Alexandria H., STC Theraces.com.au H., Freeway's Great Steaks H., 2d STC Winter Cup, L, Angostura Bitters H., Grey Gums Hotel H., 3d STC Kantarra H., 4th STC WJ McKell Cup, L.
The Boxer. 5 wins to 1400m, A$91,280, BTC Sequalo H., STC St Marys Leagues Club H., 2d BTC Cranstoun Hussein H., 3d STC Jacob's Creek Sparkling H., Great Food at the Freeway H.
Imaging. 3 wins to 1400m, SAJC Moet & Chandon H., MRC Race-Tech Australia H.
Moncalieri. 2 wins-1 at 2-at 1000m, 1200m, BRC Amic Pools H., BTC Lyndhurst Bloodstock H., 3d BRC Ray White H. Producer. Magic Broom. 2 wins. See above. TIME AWAITS (Nicconi). 3 wins at 2, A$281,535, SAJC Sires' Produce S., Gr.3, Cinderella S., L, Akeed Mofeed 2YO P., 2d MRC Chairman's S., Gr.3, SAJC Breeders' S., Gr.3, 4th VRC Thoroughbred Breeders S., Gr.3. MYSTIC CHANTRY (Chanteclair). 5 wins. See above. Go Glitter Go (Go Dancer). 10 wins from 1700m to 2800m, A$100,450, SAJC AWA Defence Industries H., 2d SAJC Rain Lover P., Gr.3, West End Export H., Try A Trifecta H., 3d SAJC West End Export H.
STELLA GRANDE (Marquetry). 4 wins-1 at 2-from 1400m to 2000m, A$604,175, STC Tulloch S., Gr.2, VRC Newport 2YO H., MRC Feldspar H., 2d Australian Derby, Gr.1, MRC Autumn Classic, Gr.2, VRC Barbie's 45th Anniversary S., L, 3d MRC Acorn 2YO H., Lord Dudley H., Pura Light Start P.H. SHOELESS (Archway). 8 wins from 1250m to 2400m, A$233,562, WATC Helena Vale Cup, L, St Leger, L, Geraldton Wax H., Bobaris H., Swell Baby H., Sattler's H., Allan Scahill Memorial H., 2d WATC Anniversary Cup, L, GA Towton Cup, L, 3d WATC Perth Cup, Gr.2, GA Towton Cup, L, 4th WATC CB Cox S., Gr.2.